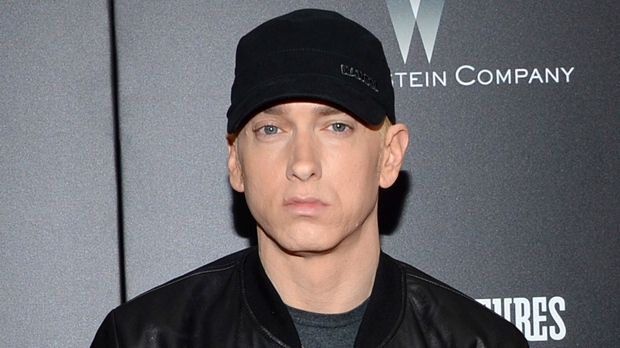 NEW YORK -- Eminem picked a busy day to surprise the world his new album -- "Kamikaze" was released only hours before the funerals of Aretha Franklin and the Washington tribute to the late Sen. John McCain. The cover shows the rear end of a fighter plane -- recalling a similar cover of the Beastie Boys' 1986 album "Licensed to Ill." The rapper dropped the album just after midnight Thursday, tweeting: "Tried not 2 overthink this 1... enjoy."